Linking human motion and natural language is of great interest for the generation of semantic representations of human activities as well as for the generation of robot activities based on natural language input. With the KIT Motion-Language Dataset, we aim to provide an open large-scale dataset of natural language annotations for the motion data from our KIT Whole-Body Human Motion Database. 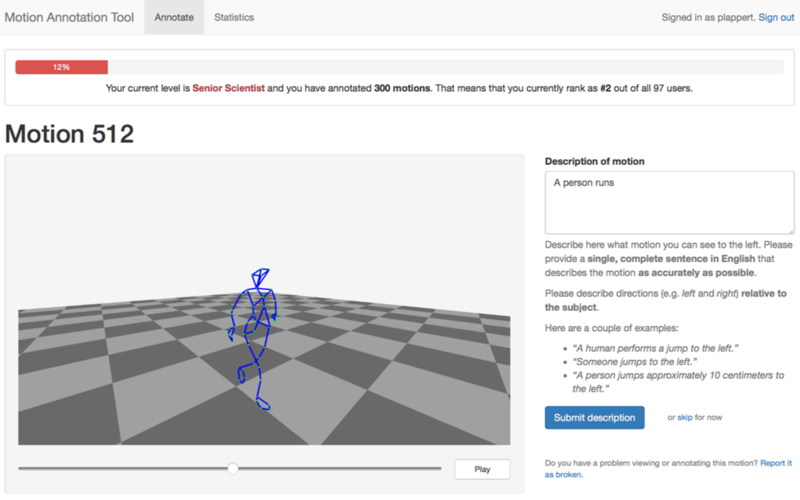 The motion annotations have been gathered by crowdsourcing using the Motion Annotation Tool.